This article talks about 2 ways to delete all photos from iPhone at the same time. One of them will be using a program that’s present on your Mac computer. Moving on, we’ll introduce some free apps to delete photos from iPhone and you won’t even need to connect the device to the PC. When you use your iPhone to take an image, it goes to the Photos app, accessible through your Camera roll. The images stay in your Camera Roll even if they’re stored in Photo Stream or iCloud Storage, until they are deleted. Mac’s Photo app does give an option to wipe images from iPhone after they’re imported, but that option isn’t there if they weren’t removed initially, so this option isn’t recommended. Before proceeding, back up the images that are important to you. Unfortunately, you can’t recover images from a damaged iPhone. It’s understandable why Apple has made it challenging to delete all photos from iPhone. Also, make sure you’re backing up your PC. 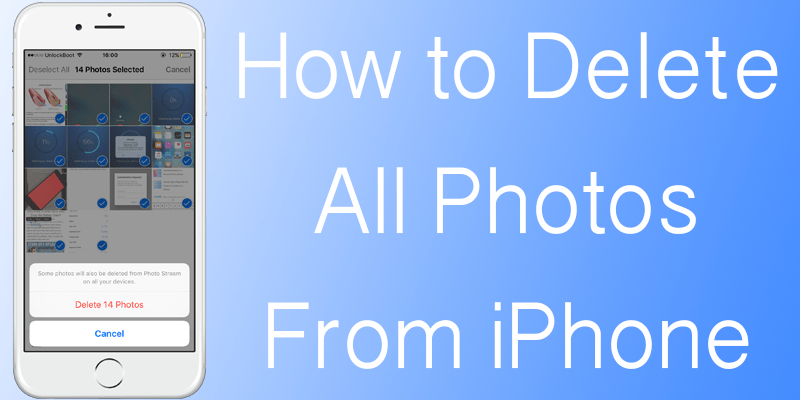 This is a strong method to delete all photos from iPhone. You need to use a program called “Image Capture”. Select the magnifying glass at the screen’s top right to launch Spotlight. It’s beside the clock at the right-hand side. 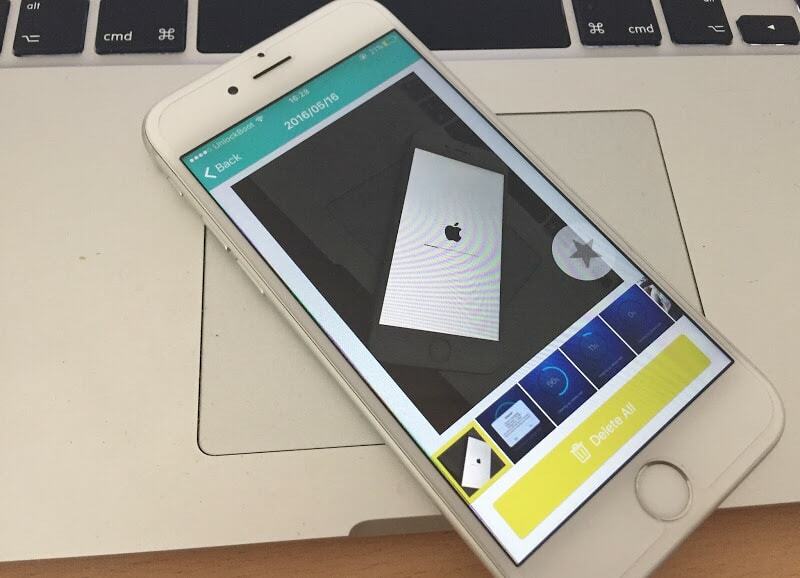 Enter “Image Capture” and double-click this app to launch it. On the left, select iPhone below “Devices”. Click any image on the window’s right side to highlight it in blue color. Press command + A to choose all your images. Also, you can click “Edit” at the screen’s top and select “Select All”. At the bottom of the window, just left to “Import To:”, there will be a prohibitory sign icon. Select it. 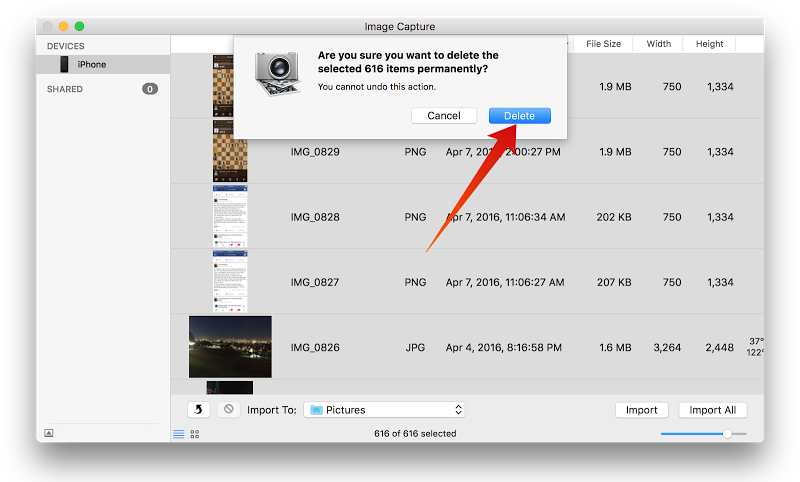 In the last couple of years, several free apps that enable you to delete all photos from iPhone have been released. Here are three highly rated ones; you won’t need to rely on a PC anymore. The first one is ALPACA. It groups similar images so that you can easily see which images you want to keep. And apart from deleting your images, it increases the efficiency of the process. The app has a 5-star rating. More apps include Flic and Photo Cleaner. The former enables you to swipe right or left to sort images in Camera Roll. Final Thoughts: After you delete all photos on iPhone that weren’t needed, you can start taking new ones.